It’s not even Thanksgiving yet, but I’m finding myself getting excited to start Christmas decorating. I discovered these pictures on my phone from last year’s office Christmas party, which was held at the governor’s residence. I found these simple ideas inspiring and, most importantly, do-able. 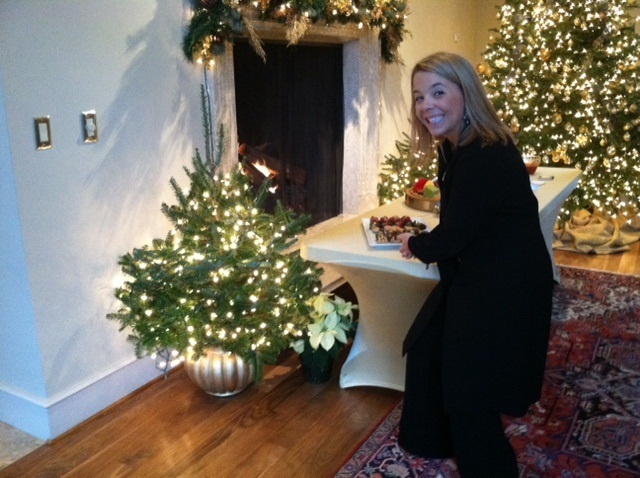 Cutie patootie residence manager Kelly Brennan poses next to an adorable mini Christmas tree. How cute and simple is this tiny tree in a gilded pot? There were several of these placed around the room. According to the governor’s residence manager, Kelly Brennan, these little pots were just cheapy plastic ones that she spray painted gold. These little trees would be fun and festive throughout the house. I also loved this beautiful room – so understated, yet elegant. The green paint was exactly what I was hoping for in our little powder room makeover (which has been a failure, at least thus far). 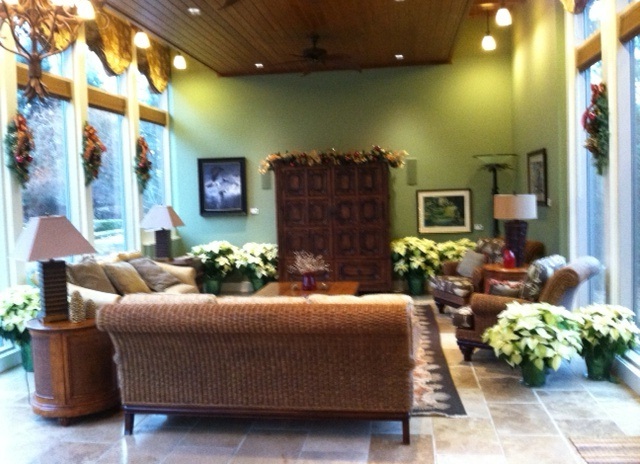 These white poinsettias contrast beautifully with the rattan and green walls. I also love the wreaths on the windows. It’s too early (WAY too early) to start planting outside in Michigan – but the eight days of 80+ degree weather we’ve had (in March!) have me wishing I could get started. So I’ve decided it’s time to start gathering some inspiration. I found this pretty mix on Facebook. Something like this would look nice on our front steps. 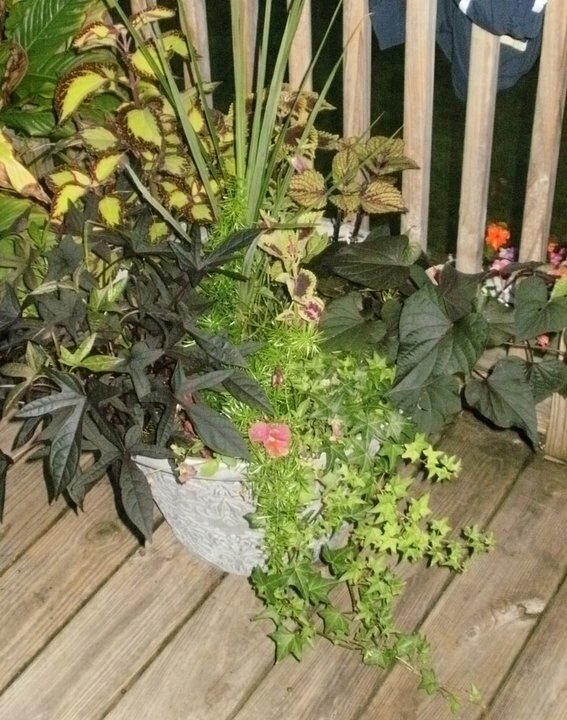 Here is a pot I did a couple of years ago. 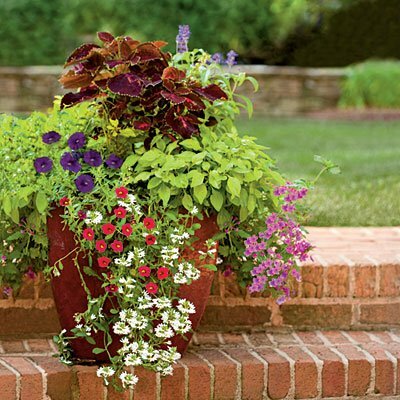 I love the darker mix of coleus, sweet potato vine and other greens. Please ignore my boyfriend’s shirt hanging on the deck railing in the background. Can’t wait to start planting! Four years ago I encountered a very tall, handsome, dark-haired man in the produce section of Meijer. One week later – four years ago today – we went on our first date, and we’ve never looked back. It’s been (almost) all fun and frivolity ever since. Plus we’ve gotten a lot of mileage out of produce jokes. 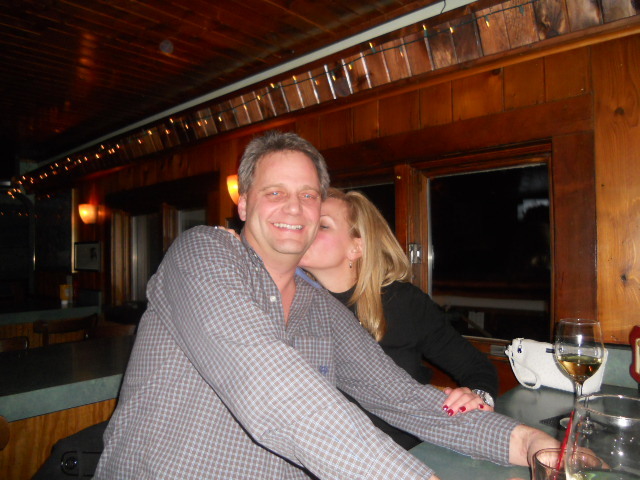 I love you Ricardo… looking forward to many more years of laughter and adventure together!! 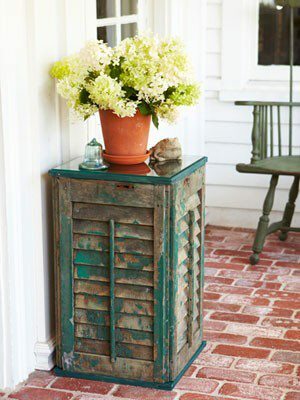 Still fixated on coastal décor. 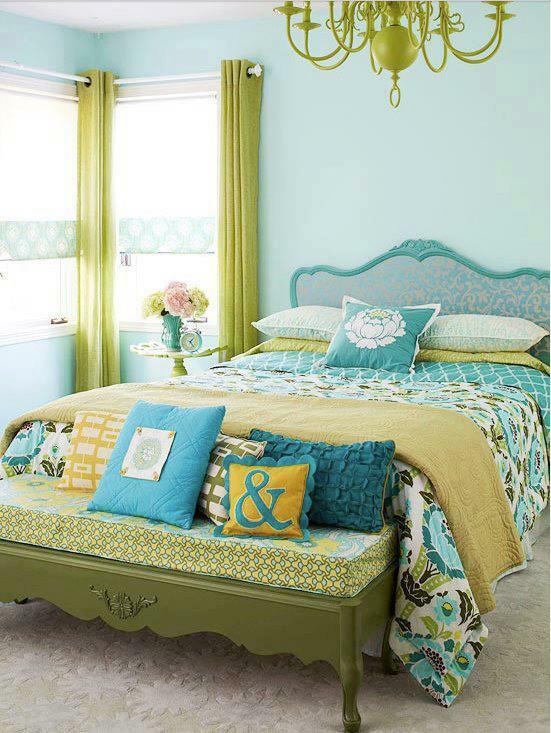 I love the brighter colors in the bedroom above and could see this working in the beach bungalow. The more serene palette in the top photo is what I’m envisioning for our master bedroom. I especially love the painting over the mantel. 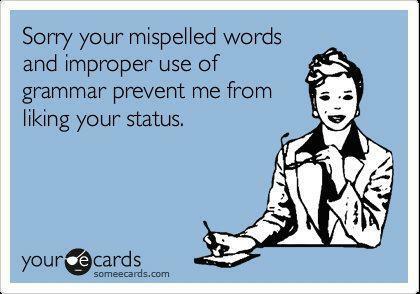 Wonder where I could find something like that. Too bad I don’t know how to paint.